ASI®TherapyORIGINAL is GSIÖ's curriculum for the certification program in Ayres' Sensory Integration (ASI®) intervention for therapists. It was developed in close cooperation with co-workers and successors of Dr. Ayres and is still taught in part by first-hand SI experts from the origins of SI, Southern California. The new curriculum of ASI®TherapyORIGINAL was installed by the General Assembly in November 2014 and has been implemented since 2015. Participants complete the coursework in the given sequence ideally within a 3 years*. 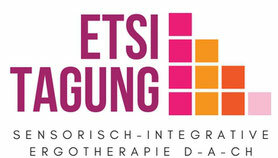 During the supervision period (6 months), the therapist works under specific SI case supervision offered onsite or online through GSIÖ instructors. We recommend to take the two workshops on the art of intervention during the supervision period gain a deeper understanding of the therapeutic relationship and the therapist's own playfulness. These are important factors for the calibration. After completion of all coursework and supervision, the therapist is eligible to undergo the calibration process. She submits a 10 minute video clip of a therapy session she conducted, using ASI® principles, plus the required paperwork to GSIÖ. The video will be passed on to an independent international trained ASI®FM rater who will rate the session's fidelity to the principles of ASI® intervention using the ASI®Fidelity Measure. If the session meets the criteria for ASI®, the therapist receives her GSIÖ Certificate as "ASI® Practitioner" (Level 2). The ASI® Practitioner Certificate is valid for 5 years. To renew the certificate, the therapist has to show proof of participation in at least 2 2-day continuing education events (courses, conference) specific to SI. Required & Recommended Readings (subject to be updated): Readings that have to be done in advance are marked. Participants are informed about these at least 3 months before the course starts. All other readings are due during the course. This course provides an introduction into Ayres’ theory and intervention without simplifying. The link between OT and SI is established. Participants can experience how their senses work and how it feels to play with SI equipment. · understand how the senses influence behavior, emotions, and learning. · know the roots of SI theory. · recognize a child with a potential SI dysfunction and know where to recommend him/her for a professional SI evaluation. · understand the extensive consequences of SI disorders on children and their families. · appreciate the close link between OT and SI. Pauli/Kisch, Was ist los mit meinem Kind? Defersdorf, Drück mich mal ganz fest! This course provides detailed knowledge about theory development, neurophysiology of the body senses, and sensory integrative disorders. It evaluates SI research and places SI theory within current neurophysiological, developmental, and intervention research. Smith Roley, S., Blanche, E.I., Schaaf, R. (2001). Understanding the Nature of Sensory Integration with Diverse Populations. WPS. German: Sensorische Integration: Grundlagen und Therapie bei Entwicklungsstörungen (2003), Springer Verlag (EUR 49,95). 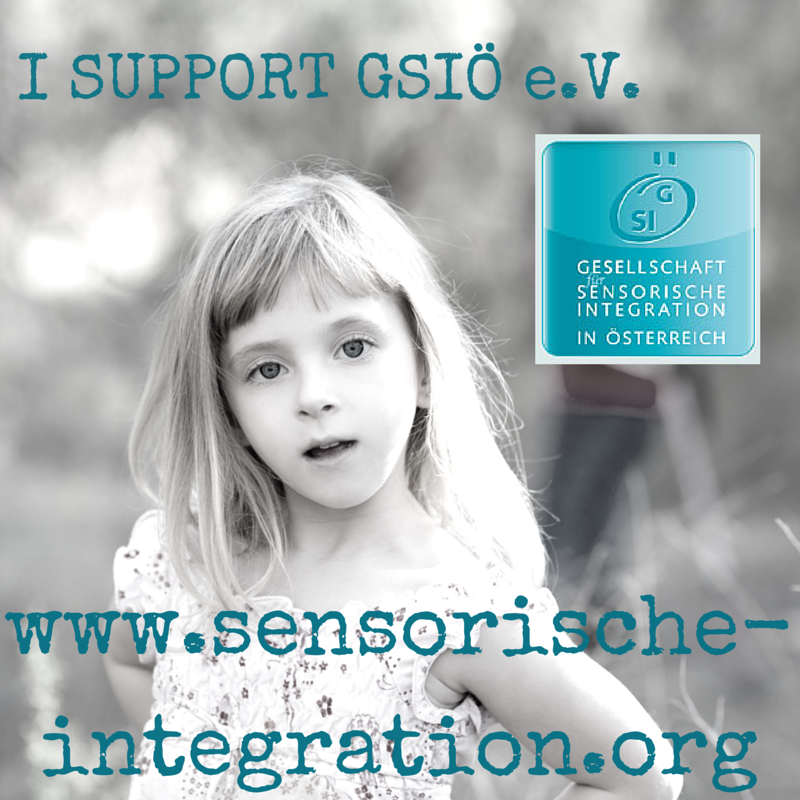 Bestellung via www.sensorische-integration.org. Bundy, A., Lane, S., Murray, E. (2002). 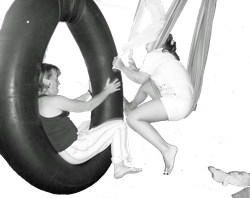 Sensory Integration: Theory & Practice. German: Sensorische Integrationstherapie: Theorie und Praxis (2003), Springer Verlag (EUR 49,95). Bestellung via www.sensorische-integration.org. Articles provided by course provider in an online resources folder. Mailloux, Z., Mulligan, S., Smith Roley, S., Cermak, S., Blanche, E., & Bodison, S., Coleman, G., G., & Lane, C. (2011). Verification and clarification of patterns of sensory integrative dysfunction in a retrospective clinical sample. American Journal of Occpuational Therapy. 65.2. 143-151. Participants have to bring all of the administered SIPTs to course IV.2. This course focuses on the relationship between functional problems (activity and participation levels) and underlying sensory integrative deficits and on data collection and clinical reasoning that is necessary for valid and reliable evaluations of sensory processing. Blanche, E.I. (2002). Observations Based on Sensory Integration Theory. Torrance: PTN. Complementary with course. Blanche, E. I., Bodison, S., Chang, M. C., & Reinoso, G. (2012). Development of the comprehensive observations of proprioception (COP): Validity, reliability, and factor analysis. American Journal of Occupational Therapy, 66, 691–698. This course provides guidelines and practical experience of problem-specific application of SI techniques within the client-centered and playful frame of ASI® intervention. After completion of course work, the participant works under supervision for half a year. This means that she works at her usual work site and participates in a minimum of 5 sessions of SI Supervision, 1.5 hrs each, in a monthly interval. The sessions can be individual or groups sessions, in person or online. Participation in 5 supervision sessions á 2-3 units spread out over one semester (½ year).